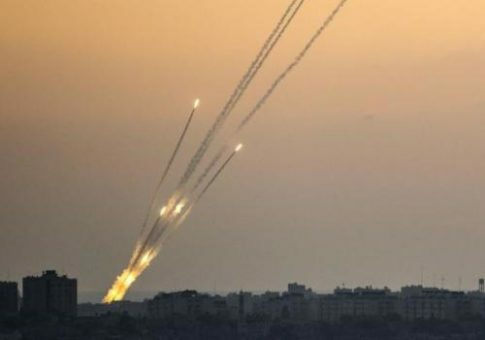 Following last week’s escalating protests and violence in Israel and the Palestinian territories which also witnessed two days of sporadic rocket volleys out of Gaza and retaliatory air strikes by Israel, there are new reports Monday of a fresh round of rocket attacks. Since last Thursday Israeli rocket siren warnings have been sounding semi-frequently as the threat of more attacks out of Gaza continues to loom. Regional media over the weekend also reported that the Israeli military has discovered and destroyed a Hamas “attack tunnel” that reached from the Gaza Strip into Israeli territory – the second to be uncovered in six weeks, according to Israeli military sources. Meanwhile, the region continues to be on edge as widespread protests have continued since the end of last week in response to Trump’s speech formally recognizing Jerusalem as the Israeli capital and announcement of plans to move the US embassy from Tel Aviv to Jerusalem. Many of these protests spiraled into violent confrontations at various locations across Israel and the Palestinian territories, including clashes between Arab protesters and Israeli soldiers in Ramallah and other places in the West Bank and Gaza Strip.